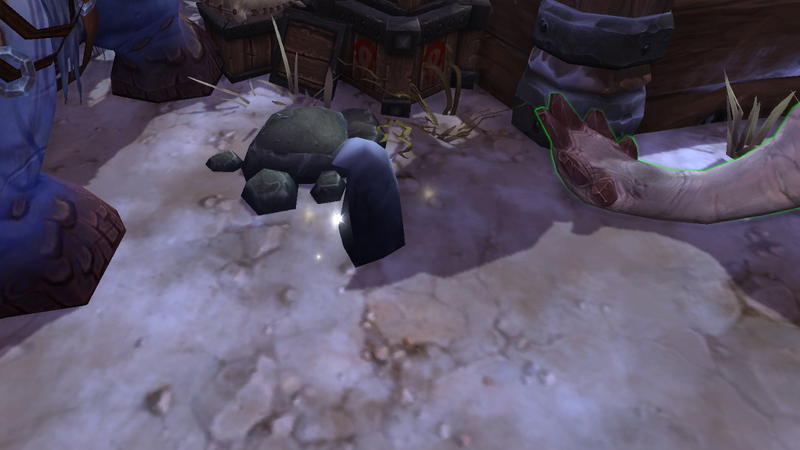 A short guide to the Stables building inside your Warlords of Draenor Garrison. The Stables is one of the many unique buildings players may build inside their Garrison. The Stables provides you with special bonuses to your mounts while in Draenor, as well as several new mounts that can be collected through daily quests or achievements. This building is considered large and thus must be built on top of a large plot space. The Stables is a totally optional building. This means that not every player will have the Stables active inside their Garrison. After the blueprint has been purchased, learn it by right clicking on the blueprint in your bag. Bring up your Architect Table and select a large plot. Place your Stables for 150 Garrison Resources and 150 Gold. The creation of your Stables will take 1 hour. To upgrade your Stables to Level 2, you will once again need to purchase a blueprint. The Level 2 blueprints become available after you have reached level 100 or you have completed the Nagrand Outpost quest line. Level 2 blueprints cost 1,500 Gold or are totally free if you happen to have a Comprehensive Outpost Construction Guide. After you have purchased your blueprint, learn the plans. Go to your Architect Table and select the Stables. An upgrade button should now be available. Upgrading costs 900 Garrison Resources and 300 Gold and will take 1 hour to complete. The final upgrade for your Stables will be a bit harder to obtain. This level requires a blueprint that is only available after you reach Level 100 and have completed the Master of Mounts achievement. This achievement requires you to have fully trained all six mounts at the Stables. After these conditions are met, purchase the blueprint for 1,000 gold and learn it. Head over to the Architect Table and upgrade for 1,200 Garrison Resources and 500 Gold. Level 3 upgrade will take an hour. Level 1 – Enables the capture and training of special mounts in Draenor. Allows you to remain mounted while interacting with objects in outdoor Draenor zones. Level 2 – You are no longer dazed by enemies while mounted in Draenor. Level 3 – Increases mount speed in Draenor by 20%. As noted above, the Stables allows you to earn several new mounts to add to your collection. These mounts can only be obtained from this Garrison building. The mounts you earn from the Stables will remain active even if you later delete your Stables. You will not receive a quest to capture all the animals at once. Pick up the quest and then head to the location indicated in the quest text. Click on the quest lasso while targeting the mob, then hold on tight. Once the mob has been lassoed, it will try to escape. To successfully capture the animal you will need to keep up with the wild ride it takes you on. If you get to far away, the lasso will break and the animal will escape. To aid yourself in capturing the animal, it is wise to clear out any other mobs that may aggro, put a marker over the mobs head, and also be sure to be mounted. If you manage to stay with the mob, the mount will be returned to your Stables. After you have captured a mount, you will receive training missions for that mount. These missions will appear each day in the form of daily quests from the NPCs in your Stables. Each quest will instruct you to mount up on a specific mount and kill a specific mob. You may summon your training mount via a whistle provided to you upon acceptance of the quest. Your mount is able to attack the mob and you are able to assist your mount with the kill with your spells. You may also kill the mob with the help of others, even if they are not in your group. Just be sure to get a tag on it yourself for the kill to count. It should also be noted that while riding your training mount, your mount takes the damage, not your character. This means you will need to pay attention to your mount's health while defeating the quest mobs. At this point the mount can be found in your mounts menu and can be summoned in the traditional fashion. No more whistles! Besides the six trainable mounts you can claim through quests in your Stables, there are two very cool achievement mounts up for grabs. These mounts require you to complete an achievement to obtain them and it isn't exactly a cakewalk. You may have noticed when you upgrade your Stables to Level 2, that a scary-looking black claw appeared in your Stables. This claw is known as the Black Claw of Sethe and it increases damage taken and reduces movement speed of your mounts when you have it in your bags. 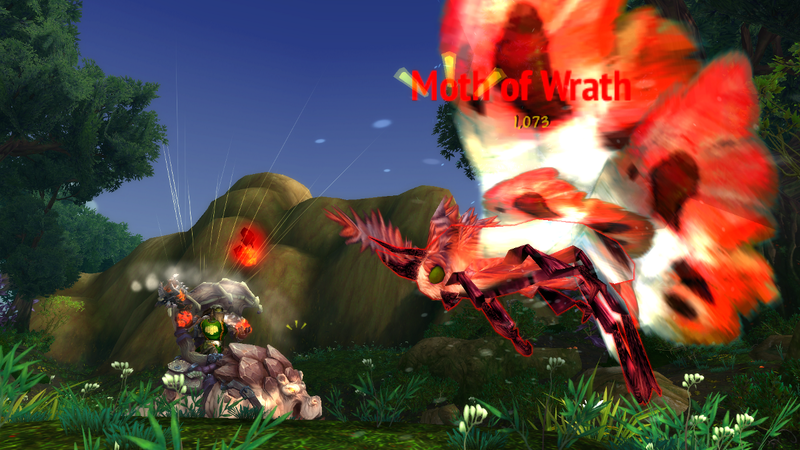 It is required that you kill these mobs while mounted on all six of mounts in training, with the Claw in your bags. You may complete this while doing the official training quests. If you have already completed the training quests, don't panic. Once you have upgraded your Stables to Level 3, an NPC inside will offer up training whistles to summon the training mounts. These whistles have 3 charges and lasts for 1 day. You may pick up another whistle if you use all three charges. You must summon the mount from the training whistle, the mount found inside your mount list will NOT count for this achievement. Completing this achievement will give you the Armored Frostboar mount. The second achievement can be completed only after you have upgraded your Stables to Level 3. At this point you will be able to loot the Garn-Tooth Necklace. This object is even nastier than the Claw. It reduces movement speed by 50% and increases damage taken by 50%. This makes kill mobs considerably harder, but that is exactly what you must do. Of course, you must kill each mob while mounted on each of the six mounts in training, while carrying the necklace. At this point, you will have completed all your training missions. To get a mount in training you must speak to an NPC inside your Stables who will provide you with whistles to all training mounts. These whistles have three charges and lasts for 1 day. You may pick up another whistle if you happen to use all three charges. Remember, the mount must be summoned from the training whistle, any other mount will not count for this achievement. Completing this achievement will earn you the Armored Frostwolf mount.